Every year, the American Library Association celebrates National Library Week showcasing why libraries, librarians, and library workers are such vital parts of communities around the country. 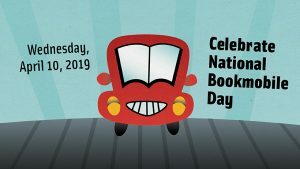 During this week, the ALA emphasizes the benefits of bookmobiles with their own day! In celebration of National Bookmobile Day, we’re highlighting some of the bookmobiles we’ve recently delivered to happy customers. 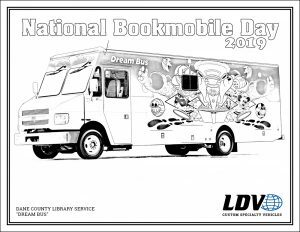 Celebrate this booktastic day with us by reading about these exciting vehicles and coloring your own bookmobile print-out! The Kenosha Public Library optimized their platform with an easy-to-operate wheelchair lift that folds neatly to conserve space. They also chose to include durable laminate countertops, Acore bookshelves, and two white book carts to maximize their interior shelving, making sure they have plenty of space for books! 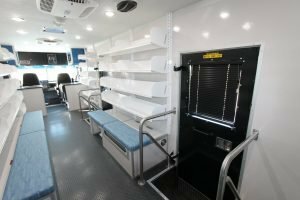 Tulsa City County Library filled their bookmobile with Acore shelving, custom bench seating, and a self-checkout station near the entry door. This mobile platform offers storage and convenience while on-the-go! There’s a reason this bookmobile is called the Dream Bus! 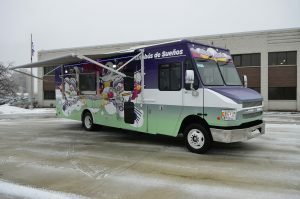 Dane County’s second LDV-built bookmobile features color-changing LED lights, two countertop check-out areas, an exterior weatherproof enclosure for outdoor movies, and a retractable awning to keep things cool during the summer. 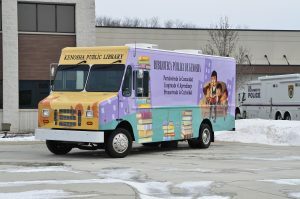 Boone County Public Library’s bookmobile features custom powder coated aluminum storage cabinets, custom bench seating with removable cushions for extra storage, and a rear-mounted wheelchair lift. 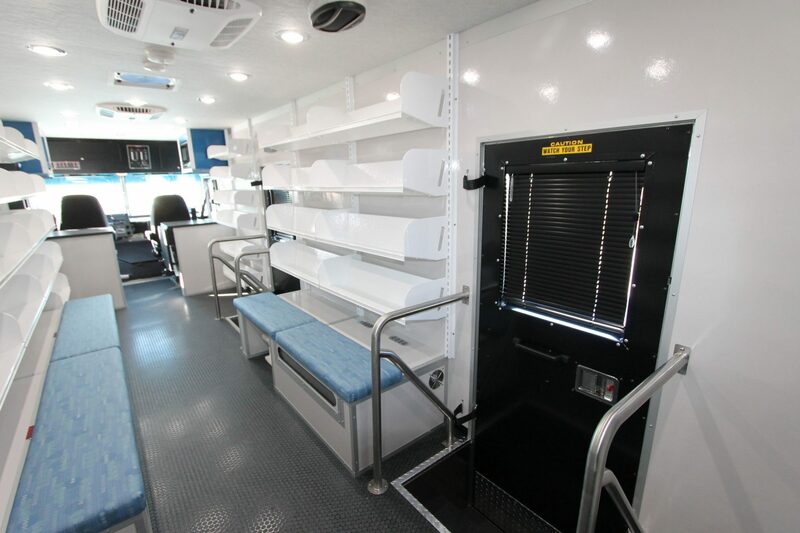 This ensures plenty of storage space and the chance for everyone to enjoy the bookmobile! McKenzie County Library wanted to make sure their bookmobile included a wheelchair lift to ensure they can accommodate everyone in their community. 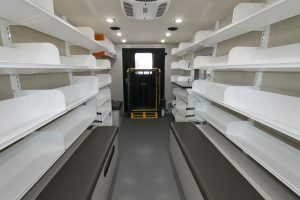 It also includes rolling carts for lobby stops and removable workstations, ensuring plenty of space and mobility for those on site. 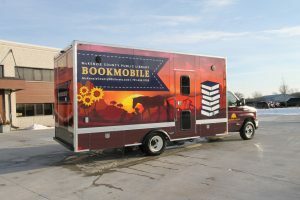 Santa Clara City Library’s new bookmobile features two entrances, an awning for shade, and even solar panels to charge electronics. 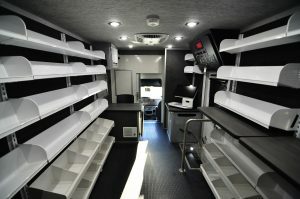 This bookmobile is optimized inside as well with extra media storage and front swivel seats for use at the front workstations.